Let’s be real — I will be the first to tell you I am NOT interested in high-fashion (or even low-fashion, if that’s a thing). My best friend is always on me about buying clothes that actually fit and spending time in stores that aren’t Lululemon. So I didn’t go to this symposium because I want a career in fashion law. I glanced at the different panel discussions and one of them — about the legality of influence and the laws governing disclosures for bloggers — really interested me. I had to miss the panels before lunch (I teach a spin class Saturday mornings) but I showered quickly, threw on a business-y dress that passes for fashionable in my eyes (even though I’m pretty sure the peplum craze is is pretty 2012), and headed over just in time for the lunch program. Lunch was awesome for two reasons – first, it was catered by Joan’s on Third. Second, it featured an interesting discussion between Bernard Campbell, co-founder of Fi3, and Crosby Noricks, Founder and Fashion Marketing Strategist at PR Couture. One component of the discussion was whether or not there is a place for stores in this era of digital marketing. Crosby emphasized that she thinks stores will gain importance again, but it will be about the experience as opposed to the products themselves. Again, I had to think about this as it applies to my life — but there’s definitely something about the Lululemon experience that makes me willing to spend a little more as opposed to trudging through clearance bins at the Nike Outlet. Crosby also commented on the prominence of social tools — like bulletin boards — on brand websites, and how brands like Free People are reacting to consumer behavior by encouraging the use of things like selfies and hashtags and integrating them into the in-store and online shopping experience. I really enjoyed this panel because it was pretty much a direct convergence of my professional (ish) life with one of my passions – blogging/social media. First, I found it interesting that the FTC governs bloggers. Under Section 5 of the FTC Act, ALL material connections between bloggers and the advertisers/sponsor must be disclosed. This applies to all types of blogs, and fashion bloggers are not exempt even though it could change the reader’s perception of them. Stacy suggested bloggers err on the side of caution and DISCLOSE material connections. Disclosures don’t have to take any specific form — they just need to be clear and conspicuous to the reader. After the presentation, I chatted with some of my friends who are in the Fashion Law clinic and got to meet Professor Riordan and some other people who attended the symposium. I’m glad I checked it out – and I wish I could have made it for the entire symposium! 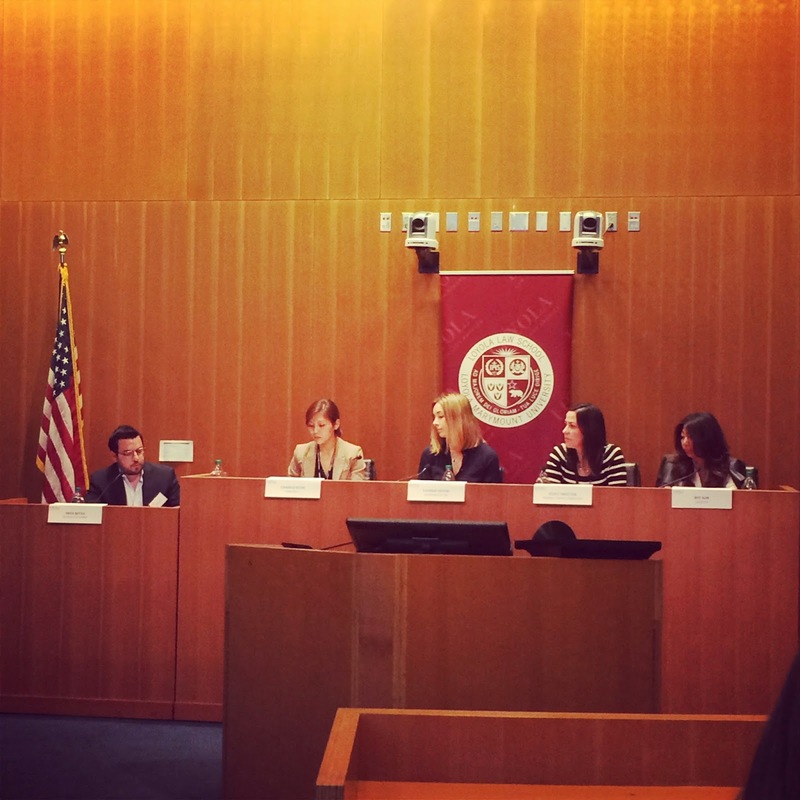 The Fashion Law Symposium was a great way for me to remember that earning a law degree will not pigeon-hole me to any one particular career path for my entire life. Learn more about LLS’s Fashion Law Project here.